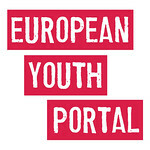 Have your say in what the European Parliament should do for youth! Article submitted by Partnership for Young London, Eurodesk UK Partner. The Youth Outreach event took place in Brussels, Belgium, on March 7th 2019.